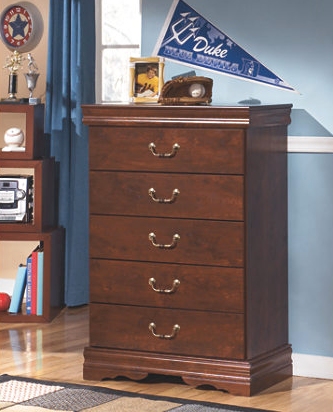 The Wilmington chest of drawers is the epitome of traditional decor. Louis Philippe-style moulding dates back to the mid-19th century when furnishings were lavish yet somewhat simple. 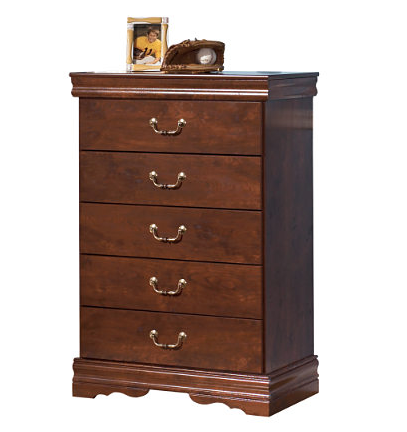 Replicated cherry grain, enhanced by classic bail pulls in an antiqued finish, brings warmth and elegance into the space.